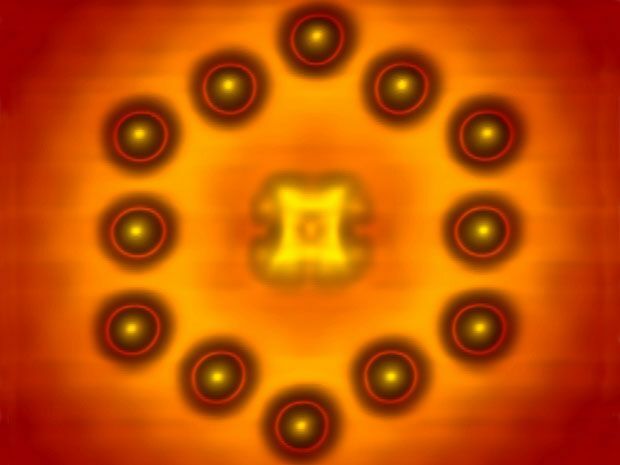 An international team of researchers has demonstrated for the first time that a single molecule can operate as a field-effect transistor when surrounded by charged atoms that operate as the gate. The team published its results in the August 2015 issue of the journal Nature Physics. The experiments were performed in Berlin at the Paul-Drude-Institut für Festkörperelektronik (PDI), in collaboration with researchers at the Free University of Berlin (FUB), the NTT Basic Research Laboratories (NTT-BRL) in Japan, and the U.S. Naval Research Laboratory (NRL) in Washington, D.C.